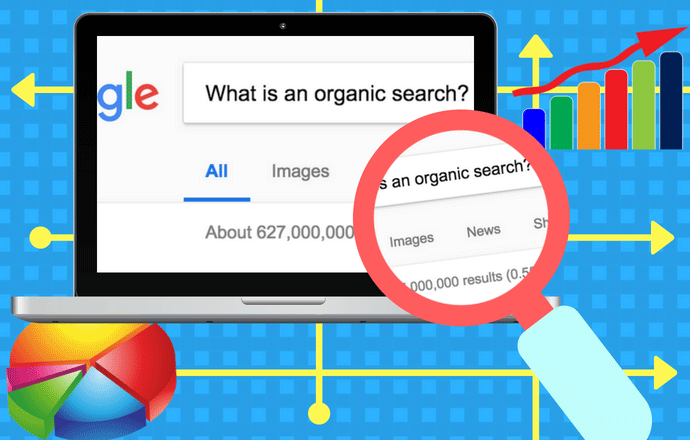 >> What Is An Organic Search? To put simply, an organic search refers to a use of search engine. If you are looking for a specific information, you enter a relevant keyword or phrase in search engine box and find websites that provide the information. In short, an organic search means "to google it". The expression has widely been used since the word google as a verb was officially added to Oxford English Dictionary in 2006. Why is it called 'organic'? Because from a website owner's point of view, it's a natural (organic) way to pull visitors to their site without advertising. Visitors naturally find the site via search engine, rather than being requested to visit the site specifically. a use is directed as a result of someone else's effort, in a mail format, social media or advertisement (e.g. "Click here to check my site!"). For example, if you want to know how wolves howl, you can search by keywords "wolves howling". The top of the search engine is likely to be a YouTube link. You will click it, and this will be an organic traffic to YouTube. Whereas you probably think YouTube is the best place to hear a sound example, so first of all you go straight to YouTube by typing "youtube.com" - that'll be a direct traffic to YouTube. 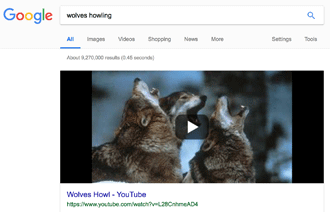 Next you enter the keywords "wolves howling" in the YouTube search bar and choose to click a specific video (or audio file) - that'll be an organic traffic within YouTube. 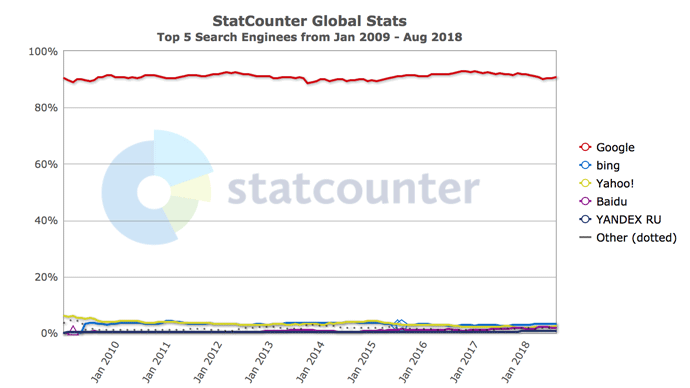 Of course, Google is not the online search engine, but for many years around 90% of the global search engine market has been held by Google (including desktop, mobile, tablet and console - according to the data provided by StatCounter below) . The remaining 10% is shared by Bing, Yahoo!, Chinese based Baidu, Russian based Yandex and other lesser-known search engines. Keywords: Use of the right keywords plays the most important part in SEO. The relevant keywords should be used not only in the content, but also in the title header, image name and URL. Value in Content: The webpage content needs to be full of useful information, reasonably lengthy (at least 600-700 words of content is often suggested), vocabulary-rich and easy-to-read. Site loading speed: Slow loading sites are not considered "useful to users" by search engines. So it's essential to use an updated website builder - content management system such as WordPress with a theme that's updated. Use of a large image in file size will result in slow rendering. So every image that's used in a page should be optimized. Mobile responsive: Google prioritise mobile responsive sites in its algorithm. Again an outdated website builder is unlikely to create sites that are mobile friendly. Check your website status using Google's mobile friendly test from here. Find the best keywords for your site using the advanced keyword research tool with competition analysis. Average time saved per search: 10.8 minutes, 99.7% search engine coverage. Site ranking monitoring feature, "Brainstorm" idea maker, "Alphabet Soup" long-tail keywords finder and more.